If you consider yourself a foodie, listen up. We’ve got a hold of some of the highest rated spices and dashi stock in the whole of Japan, that can transform your dishes from blah to bloomin’ incredible. . .
Our coveted new goodies herald from Kyoto, renowned throughout Japan as a powerhouse for serving elegant and traditional Japanese cuisine in its numerous ryokan and restaurants. The supplier is Shichimiya Honpo, a business which has been operating for a whopping 350 years – if our numbers are right that’s longer than it’s been since the Spice Girls were chart toppers. Nestled in a stunning Kyoto suburb neighbouring mighty Kiyomizu temple, Shichiyama are noted throughout Japan for providing top quality spices. 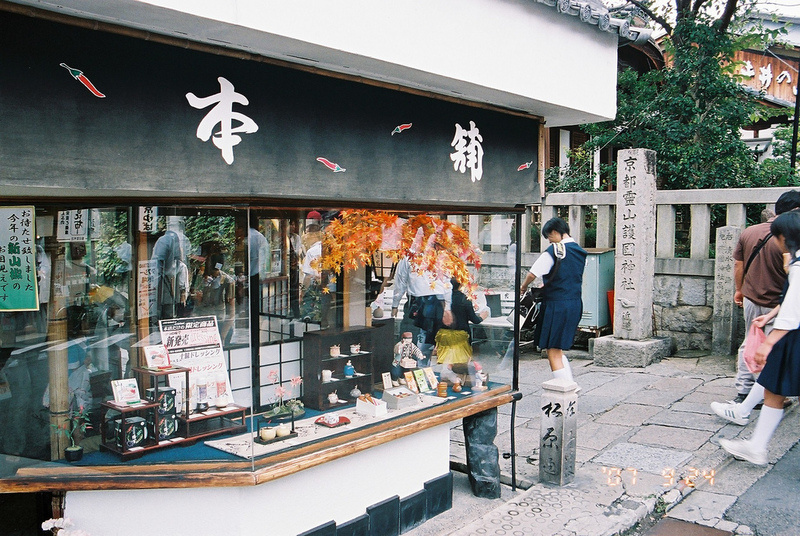 The history according to The Kyoto Project: Originally the shop was called Kawachiya. It was a place used to welcome priests who came back from ritual devotions under a waterfall. Kawachiya gave them red pepper hot tea to warm the priests up. It is said that this was the beginning of the shichimi shop. In this way, shichimi is a unique spice that Kyoto people invented. 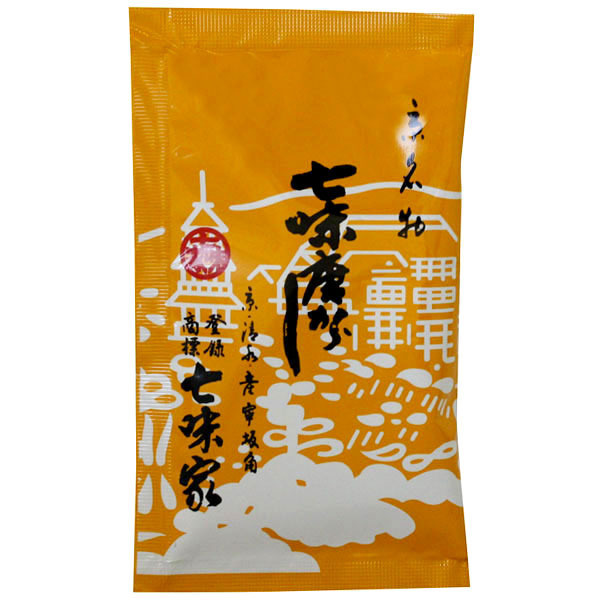 In addition, Shichimiya Hompo is often included in the list of the three most famous shichimi shops in Japan, the other two being Yagenbori in Tokyo and Yahataya in Nagano prefecture. Believe us, these guys really know what they’re doing. But exactly what are these spices we’re harping on about? This ‘ere is Shichimi, a spice mixture that’s a favourite of foodies throughout Japan and beyond. It constitutes seven spices sitting in perfect harmony together: white pepper, black pepper, Sansho pepper, nori seaweed, green perilla (shiso), and hemp seed. As you may expect from a reputable supplier like Shichimiya Honpo, only the best spices are chosen, and no artificial preservatives are added so you know it’s good and natural. How to use it? Shichimi is traditionally sprinkled on donburi or udon noodles, but it’s a versatile flavour that also brings a great deal to meat and fish. Try coating your favourite meat in this Shichimi spice sensation before cooking and experience the remarkable flavour! It’ll transform the way you enjoy your meal. Do you love citrus? If so, this is a spice with which you’ll be wanting to experiment. Sansho Japanese Pepper is comparable to Sichaun pepper – which is commonly used in Chinese cooking – but its citrus kick puts it in a league of its own, conjuring up notes of yuzu and grapefruit. It’s harvested from the Japanese prickly ash and has been for centuries, and has recently been noted for its many health benefits. How to use it? Sansho is often used on unagi (eel) where it compliments the oily texture, but is also great mixed with oil and vinegar to make a zingy dressing and sprinkled on top of a huge range of savoury dishes. Regular Japan Centre shoppers and Japanese foodies will know the importance of dashi in Japanese cuisine. This quintessential flavour is rich in umami and shows up in classic dishes like udon soup. This beautiful packaging adorned with gorgeous illustrations of Kyoto contains some of the finest dashi stock around, provided in a ‘teabag’ style to ensure freshness. The ingredients that make up this quality stock include bonito fish, mackerel, sardine, kombu kelp, shiitake mushroom, daikon and carrot. How to use? Simply infuse one of the ‘teabags’ in warm water for a dashi stock of such fine quality that you’ll be converted for life. There are loads of recipes at Japan Centre Online using dashi including mushroom & cream pasta with added umami and dashi bruschetta. Shop quality dashi stock now at Japan Centre. Now, we’ve added some super recipes to Japan Centre Online, utilising our favourite Kyoto spices. We’re delighted to have our hands on such wonderful products, traditionally crafted with the finest ingredients from a supplier that has been operating for centuries. We’d love you to try them out and let us know what you think – send us a pic with the dishes you create and we’ll feature them right here on our blog. Posted in Uncategorized and tagged Dashi, Japanese cooking, Kyoto, premium Japanese ingredients, premium Japanese spices, premium spices, sansho pepper, Shichimi, shichimi tokarashi. Bookmark the permalink.